Welcome to the Ishika Fashion. In using the service of Ishika Fashion you are deemed to have accepted the terms and conditions listed below:All products, services and information displayed on Ishika Fashion constitute an “invitation to offer”. 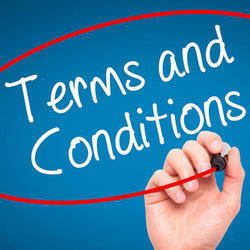 Your order for purchase constitutes your “offer” which shall be subject to the terms and conditions as listed below. Ishika Fashion reserves the right to accept or reject your offer. If you have supplied us with your valid email address, we will notify you by email as soon as possible to confirm receipt of your order and email you again to confirm details and therefore process the order. Our acceptance of your order will take place upon dispatch of the product(s) ordered. No act or omission of Ishika Fashion prior to the actual dispatch of the product(s) ordered will constitute acceptance of your offer. While Ishika Fashion strives to provide accurate product and pricing information, pricing or typographical errors may occur. Ishika Fashion cannot confirm the price of a product until after you order. In the event that a product is listed at an incorrect price or with incorrect information due to an error in pricing or product information, Ishika Fashion shall have the right, at our sole discretion, to refuse or cancel any orders placed for that product, unless the product has already been dispatched. In the event that an item is mis-priced, Ishika Fashion may, at its discretion, either contact you for instructions or cancel your order and notify you of such cancellation. Unless the product ordered by you has been dispatched, your offer will not be deemed accepted and Ishika Fashion will have the right to modify the price of the product and contact you for further instructions using the e-mail address provided by you during the time of registration, or cancel the order and notify you of such cancellation. That in the event that a non-delivery occurs on account of a mistake by you (i.e. wrong name or address or any other wrong information) any extra cost incurred by Ishika Fashion for re delivery shall be claimed from you. That you will use the services provided by Ishika Fashion, its affiliates and contracted companies, for lawful purposes only and comply with all applicable laws and regulations while using the Site and transacting on the Site. If any part of this agreement is determined to be invalid or unenforceable pursuant to applicable law including, but not limited to, the warranty disclaimers and liability limitations set forth above, then the invalid or unenforceable provision will be deemed to be superseded by a valid, enforceable provision that most closely matches the intent of the original provision and the remainder of the agreement shall continue in effect. Unless otherwise specified herein, this agreement constitutes the entire agreement between you and Ishika Fashion with respect to the Ishika Fashion sites/services and it supersedes all prior or contemporaneous communications and proposals, whether electronic, oral or written, between you and Ishika Fashion with respect to the Ishika Fashion sites/services.